We matched up a great pair so YOU can save money on an amazing deal! 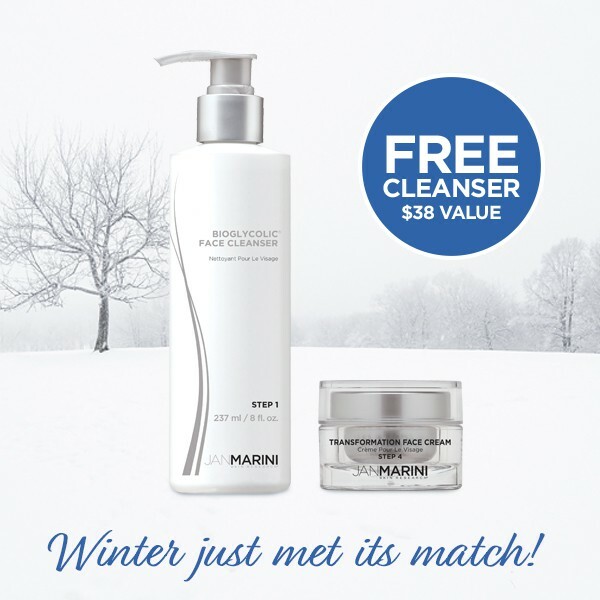 you will receive a COMPLIMENTARY, full sized Jan Marnini Bioglycolic face cleanser!! This reward expires on April 1, 2018. No cash value. Not transferable. In-store only. May be canceled at any time. This entry was posted in Reviews and Compliments and tagged best skincare, clinical skincare, face cream, facial cleansers, free gift with purchase, free skincare, glycolic skincare, glycolic wash, jan Marini Skincare, janmarini, sales, sales near me, skincare deals, Spa Deals, Stoneham, stoneham deals, to make beautiful.